SeaDream Yacht Club has announce a new era in luxury yachting. For the first time since its founding in 2001, SeaDream is expanding its fleet with SeaDream Innovation, a new, revolutionary yacht, which will introduce the concept of “Global Yachting.” Commencing sailing in September 2021, the ultra-luxury yacht will sail to all seven continents in its first year, visiting over 200 ports in 49 countries. 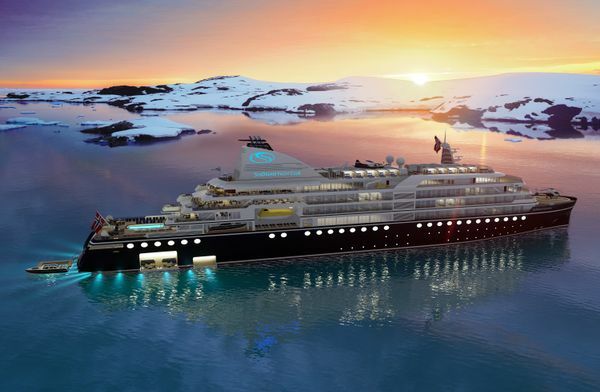 Guests will explore the world’s most remote and unique destinations, including Svalbard, the Northwest Passage, Antarctica, the fjords of Norway, Japan, New Zealand, the Fiji Islands and the Great Barrier Reef. SeaDream is now accepting reservations from Club Members, guests who have previously sailed aboard SeaDream’s classic yachts, SeaDream I and SeaDream II. Reservations will open to the public on 17th April 2019. At 15,600 gross tons and measuring 155m, the mega-yacht will follow in the tradition of excellence set by its predecessors. SeaDream will offer a true yachting lifestyle, featuring anticipatory service, 5-star dining, luxury accommodations, generous outdoor spaces and inspiring itineraries. In 2001, Brynestad reinvented luxury for the second time when he introduced discerning travellers to the SeaDream yachting experience, where casual elegance and intimate ports replaced tuxedos and formal evenings. Prior to SeaDream, the Norwegian entrepreneur was already recognised as a leader in the industry when he as the sole owner and founder of Seabourn Cruise Line first reinvented luxury cruising with Seabourn Pride in 1988, followed by two more ultra-luxury cruise ships. Since its founding, SeaDream has achieved the industry’s highest accolades, consistently recognised for exceeding guests’ expectations with its casual yachting lifestyle and offering a distinct experience at sea. To learn more about SeaDream as it enters this new era of “Global Yachting” and to gain access to new voyages, please visit www.seadream.com/global-yachting.